Uniformity in Egyptian Art. The Celestial Level. 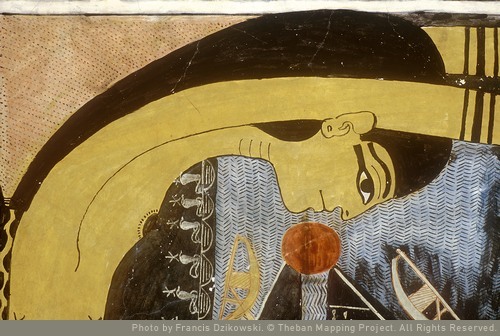 At a celestial level, the cycles of the moon and the sun also had a strong influence in Egyptian Art. This influencie was in uniformity and also in iconography. The Uniformity of the Moon and the Sun. The lunar phases: quarter waning, new moon, crescent quarter and full moon; formed a vital cycle of life, death and resurrection, and served to measure the time before the flood. For its part, the daily journey of the sun showed the same cyclical principle. First its departure through the horizon at dawn (birth), then its journey through the sky during the day (life) and finally its decline and night trip (death). At the same time, the sun was observed as a star and of course its cyclic changes in the solstices and equinoxes that determined more or less long days. These lunar and solar cycles also had their mythological and, of course, iconographic interpretation. The Moon, Horus and Seth. For example, the Egyptians considered that the form of a waning quarter was a manifestation in the sky of the mythical struggle between Horus and Seth for the throne of Egypt. The new moon indicated the stage in which Horus loses one of his eyes, while the full moon symbolized the victory of Horus over Set, that is, of good over evil. The Journey of the Sun. The sun was the king of heaven, the creator god and the divine figure that was above the rest of the pantheon. The Egyptian interpreted his celestial movements in different ways. They considered that at dawn the solar disk was pushed up on the horizon by a scarab, inspired by the natural image of the dung beetle that carries the ball of excrement where it sets its eggs. 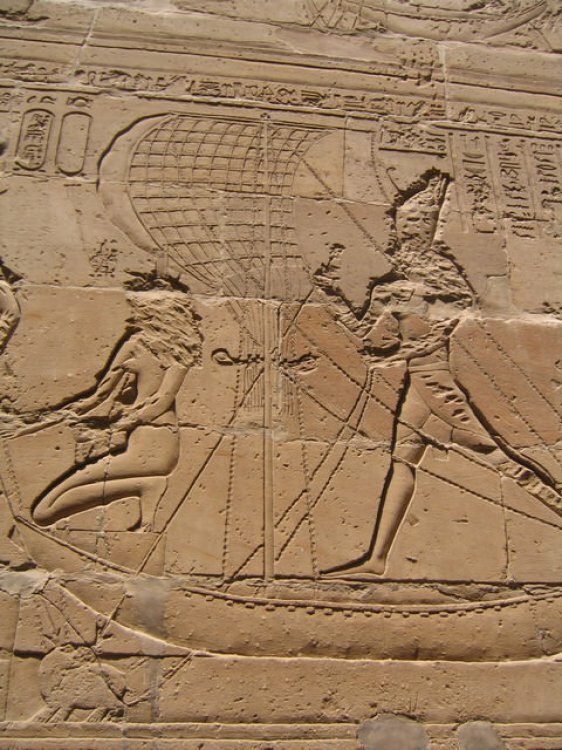 During the day, the sun was sailing through the sky in the solar boat and at night it entered the body of Nut, the goddess of heaven, where she made her nocturnal journey and regenerated to be reborn the next day. Nut swallowing the sun disk. Book of the Day. Tomb of Ramses V-VI. Photo: Thebanmapingproject. These factors were eternal, unlimited, stable and invariable and granted the stability that guaranteed the correct functioning of the universe. The Egyptian Art reproduced this cicles in terms of uniformity for granting also this stability. Uniformity in Egyptian Art. The Cyclic Nature of Ancient Egypt. Pharaoh and Uniformity in Egyptian Art.